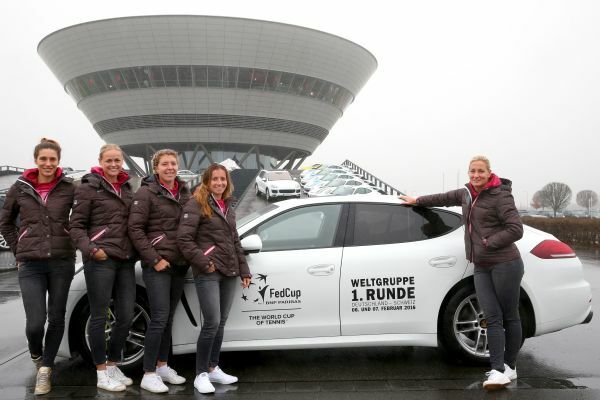 For Porsche Team Germany, the Fed Cup week in Leipzig began on Monday with a visit to the Porsche plant. Aiming to reach the semi-final against the strong Swiss team this Saturday and Sunday, the players, who are captained by Barbara Rittner, first tested the power of other top performers. 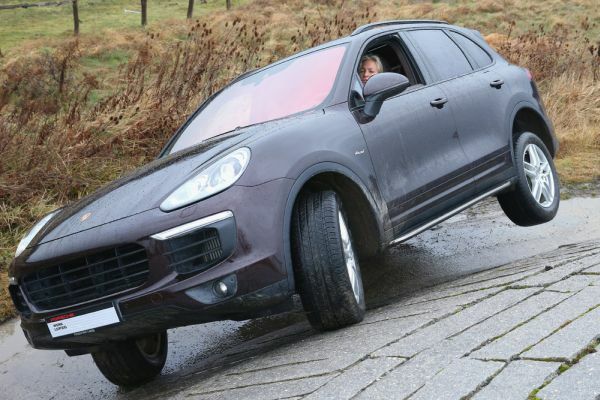 Fully concentrated, they got behind the steering wheel of various Porsche models, did some hot laps around the plant’s own on-road circuit and off-road track and experienced at first hand the fascination of Porsche. To crown their day, they took the opportunity to sit in the passenger seat beside an experienced pilot in a 911 GT3 racing car. Naturally the top topic of conversation in Leipzig was Angelique Kerber’s magnificent triumph at the Australian Open. Over the weekend, the Porsche Brand Ambassador performed brilliantly to beat the American Serena Williams 6-4, 3-6, 6-4 in Melbourne and become the first German to win a Grand Slam final in 17 years. Kerber, who after the win is the new world number two, is expected to join Porsche Team Germany in Leipzig today, Tuesday. Alongside Angelique Kerber and Andrea Petkovic, the other team members are Annika Beck and Anna-Lena Grönefeld. Tasting the Fed Cup atmosphere for the first time will be the reserve Anna-Lena Friedsam, who reached the last 16 in Australia, from the Porsche Talent Team Germany.